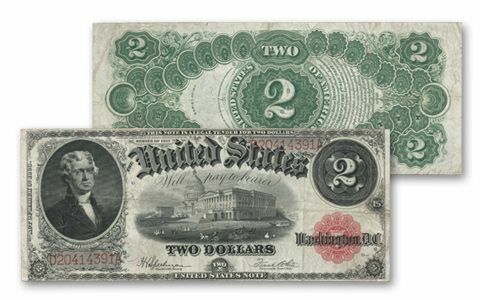 This 1917 $2 Jefferson Legal Tender Currency Note is only the second two dollar bill in history. It shows a portrait of Jefferson and an old vignette of the Capitol building from way back in the day. 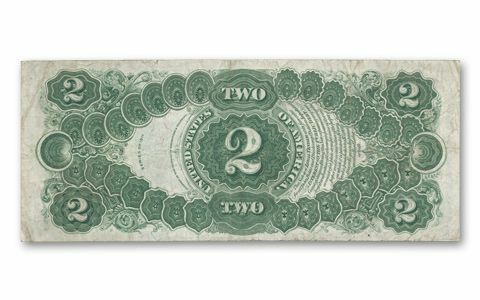 The reverse features a prominent fancy "2" surrounded by a "bracelet" of seals. The intricate engraving, the bold red seal, and serial number create a fantastic image; You can't stop studying it! 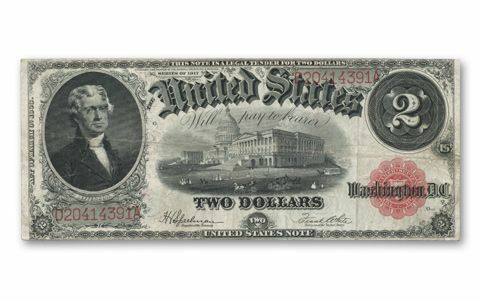 This is the last large size $2 legal tender note ever printed. Few collectors will ever own one in Very Fine condition. Be one of the few! It comes in a clear archival folder for optimum viewing.